Apple’s latest financial results was a mixture of good and not-so-good news. Apple took its lumps... sort of? Apple’s holiday quarter of calendar-year 2018 was, by most measures, incredibly successful. Revenue of $84.3 billion, $20 billion of that profit. The second largest quarter in Apple history. 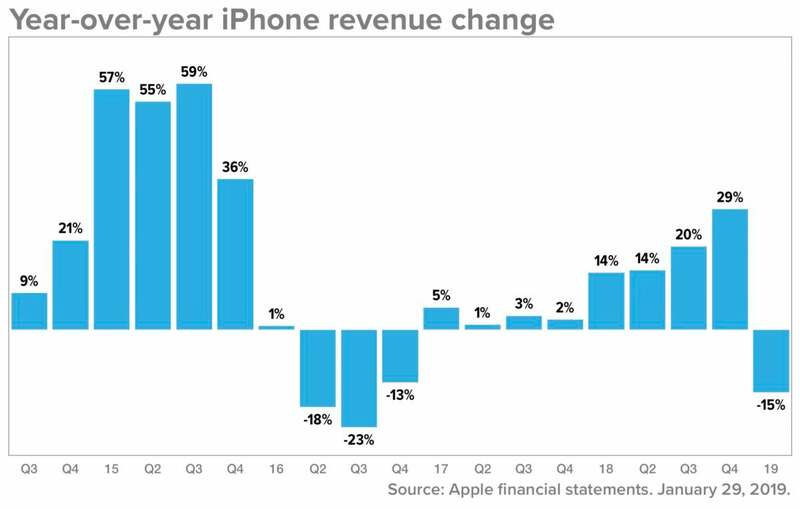 And yet, the fact is, Apple’s holiday quarter was down five percent from the previous-year’s holiday quarter, and iPhone revenue dropped 15 percent year-over-year. And when the iPhone is hurting, Apple is hurting. 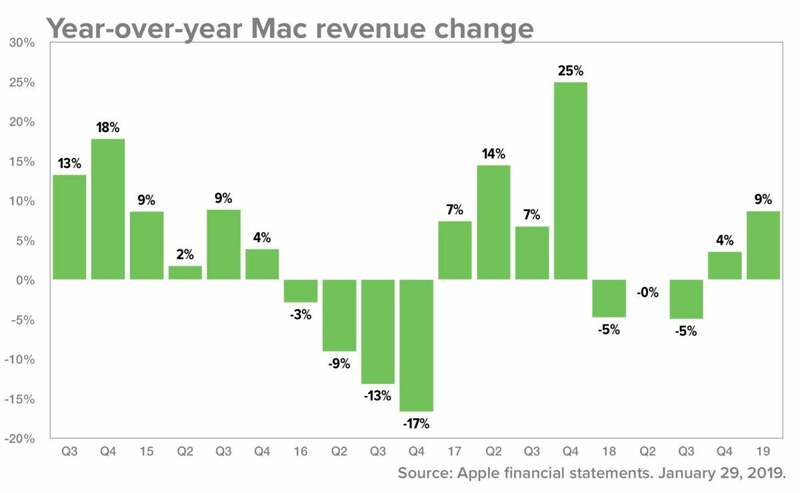 Here are some observations from Apple’s financial results for its fiscal first quarter of 2019 and Tuesday’s customary hourlong conference call between Apple CEO Tim Cook and CFO Luca Maestri and a gaggle of Wall Street financial analysts. I have to admit that I may have raised an eyebrow at this one. People don’t buy the average of two price slots—they buy a phone, and even the iPhone XR (which Maestri confirmed was the best-selling iPhone during the period, followed by the iPhone XS Max) was priced more expensively than the base-model iPhone 8, which was itself more expensive than the iPhone 7. But Cook did admit that people in many markets outside the U.S. are indeed experiencing sticker shock, citing foreign-exchange problems. He said that this month, Apple has lowered prices in many markets outside the U.S. to match the prices in local currency last year, taking the hit on the foreign-exchange front in order to stabilize prices. Still, when it comes to mitigating the high price of iPhones, Cook seems—as he was in his letter—more focused on ways of easing the pain for consumers rather than cutting prices. Cook mentioned that in Japan, cellular carrier subsidies have ended, leading to major sticker shock for buyers. And even in the U.S., some people are still making the transition from a subsidized phone to one they need to buy outright. At last September’s iPhone event, Apple’s Lisa Jackson said that Apple wants to design its products to last as long as possible, and highlighted the goal to have iOS 12 run better on older phones. That’s great, but on Tuesday Cook was questioned by analyst Toni Sacchonaghi of Bernstein about what impact that might have on iPhone sales in the long run. Cook stood by that philosophy. 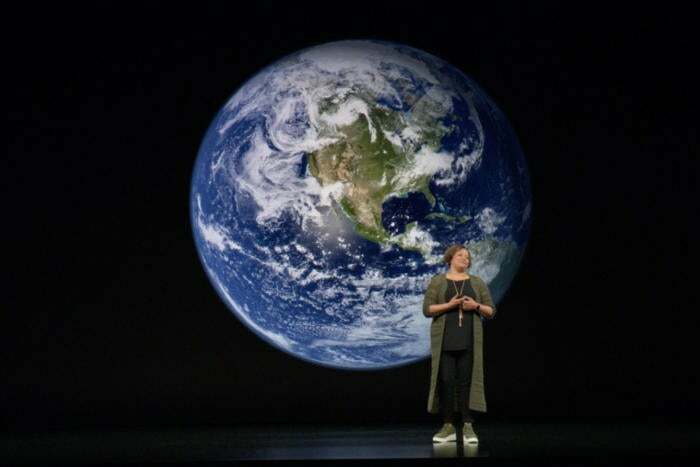 Apple VP Lisa Jackson at the September 12 Apple iPhone event. Jackson stated that Apple wants it products to last a long time. According to Maestri, Apple’s iPhone installed base reached an all-time high at the end of December, and gave that number for the first time: 900 million iPhones in use. Maestri said that number was up year-over-year in all five of Apple’s geographic segments, and that it grew “almost 75 million” in the last twelve months. Maestri also indicated that Apple will continue to provide information on the installed base of iPhones (as well as total iOS installed base, a figure it’s shared before) periodically. This is a way for Apple to communicate the size of the overall iPhone market, at a time when it’s stopped sharing specific unit sales figures for the iPhone. Apple has invested a lot in China and reaped the benefits. But last quarter, China was a black eye for Apple. Cook said that Apple’s revenue in its Greater China segment was down $4.8 billion versus the year-ago quarter—that’s a 27 percent decline. (Talk about hitting a pothole.) Cook said that iPhone, Mac, and iPad all declined in China, and that despite the lower number of iPhone upgrades overall, Apple set new records in the Americas, Western Europe, Central and Eastern Europe, and in their Rest of Asia Pacific segment. The U.S., Canada, Mexico, Germany, Italy, Spain, and Korea all set records. iPhone, Mac, and iPad quarterly sales declined in China. And it didn’t matter, because more than 100 percent of the company’s worldwide year-over-year revenue decline “was driven by our performance in Greater China,” Cook said. On a brighter note, services revenue in China set a record last quarter, and wearables revenue was up 50 percent. Cook said that more than two-thirds of Mac and iPad buyers in China last quarter were buying those products for the first time, and that overall Apple’s sales were up in China for the calendar year when compared to calendar 2017, despite the problems in the holiday quarter. Last fall Apple released a new MacBook Air, a new Mac mini, and new iPad Pros. Guess what? Mac and iPad sales responded accordingly, generating more revenue than the year-ago quarter. Mac revenue grew year-over-year for the second straight quarter, up nine percent. And iPad had its best quarter of growth in almost six years, up 17 percent. 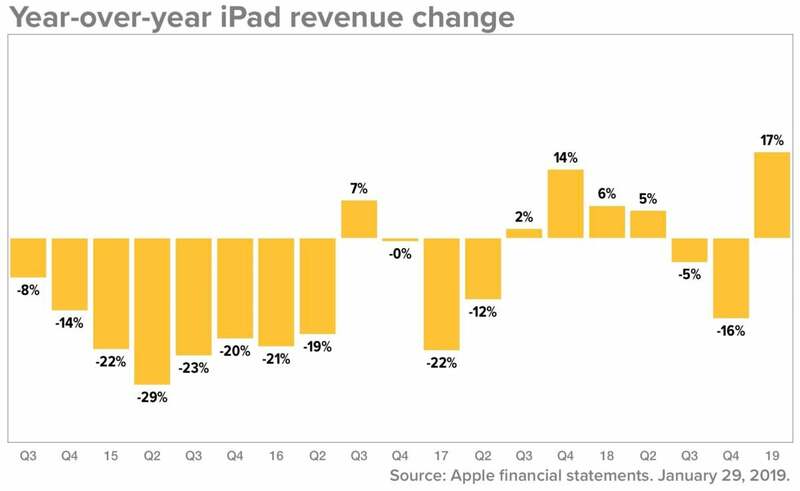 After a few rocky years, the iPad seems to have stabilized as a business that generated nearly $20 billion per year for Apple. Apple doesn’t sell quite as many Macs, but owing to the much higher average sales price of a Mac, the Mac is a $25 billion per year business. According to Apple, the installed base of both the Mac and the iPad reached all-time highs in December. There’s been a lot of speculation about Apple’s recent layoffs in some groups. Daring Fireball’s John Gruber pondered if Apple saw a recession coming and was purposefully slowing Apple’s hiring. The conventional wisdom is that if you’ve got the money to spend, you invest during a downturn, because you’ll be able to find good value and bounce back even stronger when the economy does. I thought it was interesting that Cook addressed this directly on Tuesday’s call. “We are as confident as ever in the fundamental strength of our business, and we have a very strong pipeline of products and services with some exciting announcements coming later this year,” Cook said. “Apple innovates like no other company on Earth. And we are not taking our foot off the gas. We’ll continue to invest through near-term headwinds just as we always have, and will emerge stronger as a result. If Apple is a company that’s in dire straits, as you might read about in some media reports, its executives certainly show no sign. 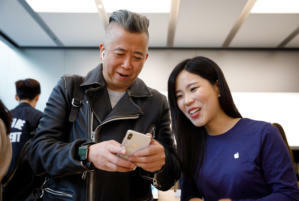 They seem confident that Apple will weather the storm in China and that with some adjustments to how the iPhone is sold, it can bounce back—and all the while, its other product lines (and its subscription-services business) continue to grow rapidly. Cook and Maestri sounded apologetic about Apple missing so badly with its financial forecast for this quarter, but beyond that, they sounded much more like executives at a company that just had its second-best financial quarter ever and walked away with $84 billion in revenue and $20 billion in profit. Nobody should set up a GoFundMe for Apple any time soon.